CHARLOTTESVILLE (WSLS) - Gil Harrington met with Help Save the Next Girl supporters to get the word out about Hannah Graham. 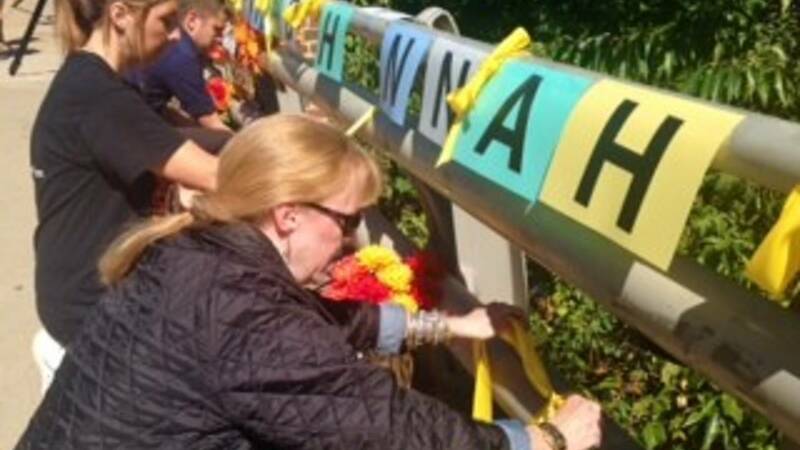 Harrington hung up 'Help Find Hannah' on Copley Bridge in Charlottesville. Copley Bridge is where her daughter Morgan was last seen alive in 2009. Harrington says she understands the pain the Graham family is going through. "You have to be the most functional you've ever been in your life and it's so hard," Gil Harrington said. "It's debilitating. You're swinging from hope to despair, cycling fast, fast, fast through every day, and it's just torture. It's really just torture." Copley Bridge now has several missing posters for women in the area. It was used as a meeting place last year to spread awareness about 17-year-old Alexis Murphy. If you have any information that could lead to the whereabouts of Hannah Graham, you are asked to call one of the following numbers (434) 970-3280, (434) 295-3851 or Crime Stoppers at (434) 977-4000. You may remain anonymous. You may also send an email to cpdtips@charlottesville.org.